Welcome to Fish Window Cleaning! We are your local window cleaning company serving Cedar Rapids, Iowa City, Marion, Coralville, North Liberty, Hiawatha, Solon, Robins, Swisher, and Ely, IA. Thank you for your interest in Fish Window Cleaning! We are your local team ready to make your home or business sparkle! 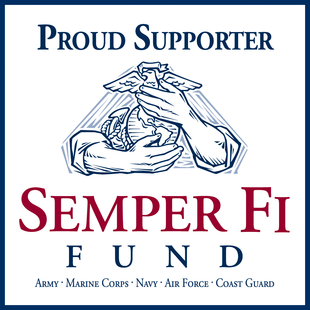 Click here to learn more about Semper Fi Fund. We know you want your home to always look its best but it's hard to keep up with all of those chores! Let us help cross some items off your to-do list. Window cleaning is time consuming, tedious, and can even be dangerous so our licensed, bonded, and insured team will handle cleaning all of your windows inside and out. Cleaning skylights, ceiling fans, or polishing your chandelier can be almost impossible without the right tools and training. Let us take care of all of these tasks and more so you have time to sit back and enjoy just how clean your home is. You'll love your sparkling windows, chandeliers, and more! Click here for more information on our residential services. "I highly recommend FISH Window Cleaning service. From free estimate to job complete, only 5 days had passed. Had I know how reasonable the prices were, I would have done it so much sooner. Courteous service providers as well." We own a business too so we understand that the needs of business owners vary. That's why we customize all of our cleaning programs to fit your specific needs, budget, and schedule. Whether you own a store, a restaurant, an office building, or any other type of commercial building, we can put a program together for you. 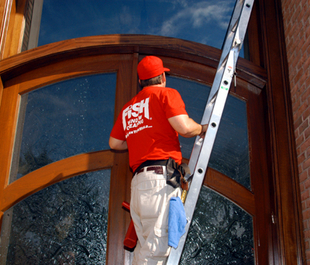 We clean windows all year long so you can count on us to be reliable and show up when we say we will. 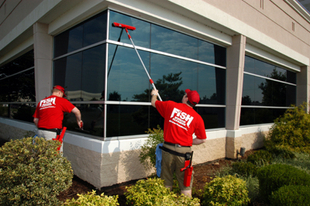 Our cleaners are licensed, bonded, and insured for added peace of mind so when you hire FISH to take care of the appearance of your business, you can rest easy knowing that you have nothing to worry about and your business will look great all year long! "I am SO happy with the job you did on our windows! We will definitely call you again. Thank you so much!"